Have you started to notice that your carpet has become the new home for dirt and grime? Or maybe your pets have decided it’s their new bathroom area. Perhaps you’re just tired of relentlessly cleaning your carpet over and over only to see everything clean about it disappear. We all know the comforts of carpet and the great looks it can have on your interior. This is why Boerne Carpet Cleaning Pros is here to help. Don’t let vacuum companies fool you into thinking you can do everything an industrial truck-mounted carpet cleaning machine can do. Trying to find carpet cleaning resources without the aid of professionals can lead to your carpet being completely destroyed. And even more, it can take weeks for the solutions you can buy to take effect, meaning constant work from you cleaning your carpets daily. ​But it doesn’t have to be that way. Believing the non-stop work to remove the dirt, stains, and odors from your carpet is the only way doesn’t have to remain in your mind. 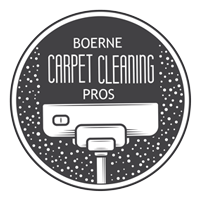 By calling Boerne Carpet Cleaning Pros, we can assure you our process will be quick and make your carpets look brand new. The easiest way to clean your own carpet is to call someone else to do it for you professionally. Let’s face it, our pets always have accidents. Perhaps this time it was too much, and the stain is still there even after cleaning it multiple times. Or maybe you spilled a drink, and its red coloring makes for a pink glow in your once sparkly clean carpet. 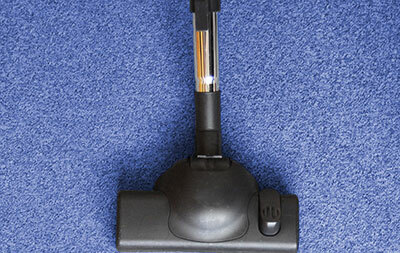 With Boerne Carpet Cleaning Pros, you can count on these problems disappearing. We aren’t afraid to stay and repeat anything whenever you or we aren’t completely satisfied with the job. Beginning with our thorough inspection of your carpets, you can be assured we'll move past just the carpet's age, the level of damage and perhaps the fabrics involved. Here, Boerne Carpet Cleaning Pros will be sure to scour the carpet for anything that could be overlooked by other less experienced cleaning companies. Instead, we will look into the past to determine the events leading up to the damages to your carpet. Damaging your carpet is the last thing we would want to do, and this careful inspection lets us avoid anything wrong that could have happened. You can only expect the best quality from us. Our professional steam cleaning utilizes the hot water extraction method in order to get your carpets looking fresh and clean. We use the best eco-friendly chemicals and the highest quality enzymes and detergents available. As you could expect, this is not just a low end boring carpet cleaning company. This is a professional carpet cleaning company dedicated to your satisfaction. We offer a wide variety of options for any of your needs, such as carpet stain removal. We know how to handle those pesky stains and will do it quickly so that permanent damage doesn’t occur. And we don’t just clean the carpet’s surface. We make sure to clean every level of your carpet, to prevent any damage that could occur from neglect of those deeper layers. Making sure you don’t have that strange color on any layer is one of our many professions. We make sure the techniques used are properly utilized and fulfilled in a manner that will make your face light up in joy. It’s always useful to blow-dry and vacuum beforehand to eliminate dirt and grime to save us some time. This technique is also important as it preserves the carpet’s fabrics and makes them stronger against washing with water. Once the inspection and dry-cleaning has been carefully executed, we can move on to your specific carpet’s needs. This being all types of different detergents, we will only recommend the best solutions for you. While washing your carpets, you can rest assured we will never rush our cleaning process. Even if you feel the carpet looks clean and fresh, we make sure it isn’t home to any hidden carpet beetles, dirt, allergens, or anything that sounds disgusting. Lastly, we’ll safely dry the carpet while checking it several times to ensure everything was done right. If anything seems off, we have no fear in repeating the procedure for your satisfaction in our work. We are a family owned and operated business, so we know how it feels to have disgusting carpets in many different places. So please, give us a call for your specific needs, and we will be there to help assess and fix any problems you may have.